Armchair cosmologist here, this article has me thinking that protons are constantly created in the universe, not just at the big bang. 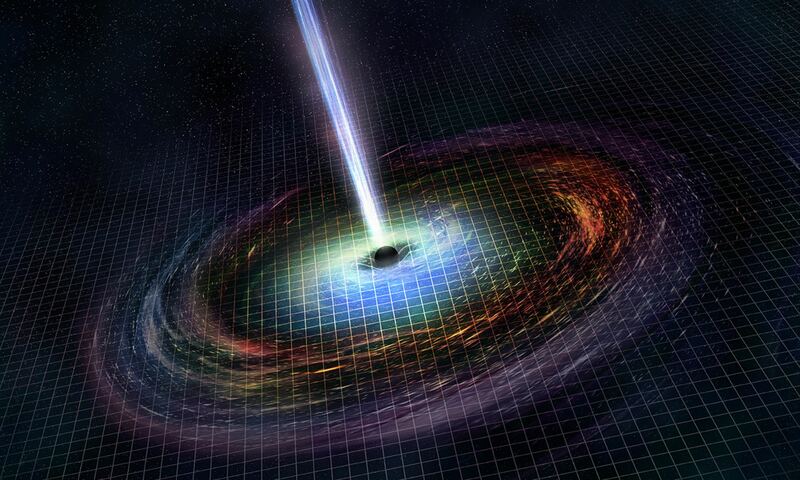 From our perception, a XYZt and UVWt multiverse interaction, where UVWt radiates threshold energy into our XYZt condensing as matter, and the black holes on our side send the energy back or elsewhere. Protons are only created when they converts the same amount of energy into mass. I think you have to define your terms. QWERTY, “? energy”, “send”? And “back or elsewhere” is simply everywhere, so why don’t you say so? When hearing hoof beats, think horse not zebra. The horse is that it is primordial hydrogen as everywhere large scale. The zebra is that it is something never seen, never expected. That is unlikely. In the Velinde type of eternal inflation with nucleation bubbles or pocket universes they may interact. These interactions most likely occurred early on in the transition that generated a pocket. In such an interaction there might be the generation of radiation, but if protons were generated one needs to understand how matter/anti-matter asymmetry results from this. It is also extremely unlikely such a bubble-bubble interaction is in our galactic neighborhood. Any such interaction in the past is most likely imprinted on the CMB anisotropy. Ahh finally… a breath of fresh air! Recent observations of the Milky Way’s (And now other galaxies) polar axis halo’s indicate the presence of plasma jets or matter fountains – probably created by the super massive black hole(s) at the core of our galaxy? Part and parcel of the rotating plasma jets are the stupendously powerful gravitational and magnetic fields that confine them. These powerful fields are theorized to confine and collect anti matter also. Anti matter annihilation releases gamma rays. No other energy event is powerful enough to create the high energy gamma rays we see? Imagine the magnetic and gravitation fields that confine that swirling plasma tornado? Add layering and mixing due to coriolis forces and evidence the anti matter’s confinement is not perfect.. The gamma rays we see a result? Take a close look at the recent ultra high UV images of the Milky Way and M31? I’ve counted as many as six possible jets at our galaxy’s core indicating at least 3 co orbiting sources? There are also a number of similar plasma jets visible in high UV images at the core of M31 which also emits gamma rays in polar halos. The GBT opens our eyes to the universe, not our ears. Radiowaves are low-frequency EM waves, not sound. GBT rocks.. but I can’t wait to ask ALMA about it! Could the hydrogen have been created by the galaxy’s central black hole(s) polar jets? Anti matter annihilation events providing the energy for nucleosynthesis? I note here the recent discovery of a gamma ray halo at the Milky Way’s central poles. great we humans have discovered this, it’s the end of whatever life is to be on those galaxies …. ?? That makes zero sense. Lensing has seen DM filaments between galaxies, but seeing localized DM clouds seems to be a step up. Ha. I temporarily thought the name was slightly borked, but apparently not. There seems to be lots of over speculation here. This is just hydrogen in the local cluster that is a diffuse remnant from galaxy formation. Too many telescopes and sky surveys and the Space Monkeys can’t find something before the Oort cloud…. How hilarious!!!!!!!!!!!!!!!!!!!!!!!!!! !